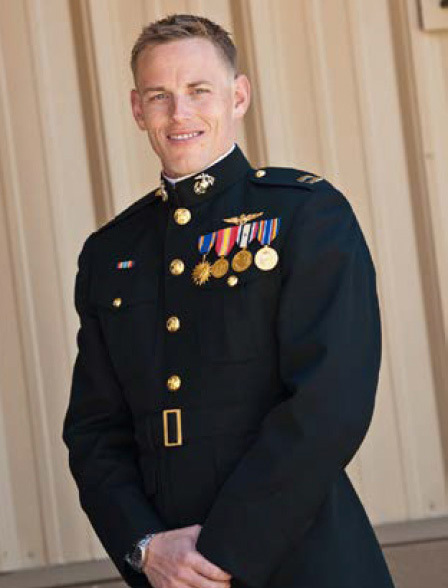 The Major Andy Budenz Memorial Campership, in memorial of a past member of the MBAC team, provides access to camp for children of a US service member who has been deployed, injured or is otherwise in need. This holiday, rather than giving each other Christmas gifts, the Budenz family chose to contribute to expanding the reach of the campership set up in Andy’s honor. 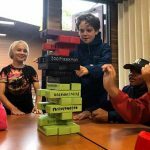 Each year Associated Students sponsors the Andy Budenz Memorial Campership with the goal of reaching a family of deployed, or in-need military families. This year, the campership will be able to provide even more access thanks to the thoughtful gift provided by the Budenz family. In January, Jenn and AJ, Andy’s widow and son, Sherie and Norman, Andy’s mother and step-father, Andy’s father, Charlie, and other family members stopped by the center to present a check for additional funding for the campership as their holiday gift to the community. “We wanted to remember Andy this holiday with this gift to a cause that Andy believed in so much, and that he held so close to his heart,” said Andy’s mother as the family toured the center and shared stories about Andy. 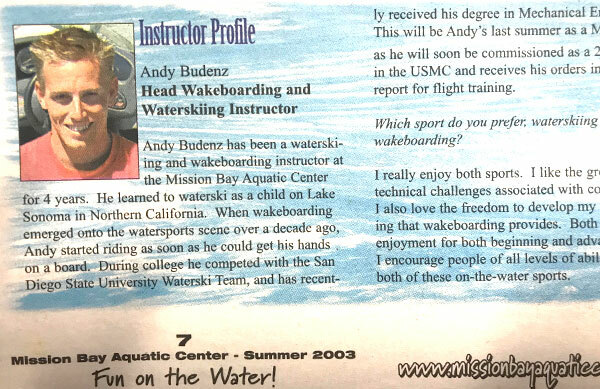 Major Andy Budenz served as MBAC’s Lead Wakeboarding Instructor at the Mission Bay Aquatic Center while he was a student at San Diego State, prior to graduating and being commissioned in the Marine Corp in 2003. His passion for wakeboarding and boating helped pave the way for thousands of students and campers to safely enjoy the sport of wakeboarding at MBAC, as the sport grew in popularity. Another passion of Andy’s was working with the MBAC accessible watersports program, which provided opportunities for persons with disabilities to enjoy watesports they may not otherwise be able to enjoy. Andy touched and inspired many lives at MBAC and it is fitting that the Andy Budenz Memorial campership allows the legacy of his work to continue for years to come. Andy served with distinction as a C-130 pilot serving 3 deployments; in Iraq, Africa and Afghanistan. Major Budenz unexpectedly passed away in September 2013 and is survived by his wife, Jenn Budenz and son AJ. 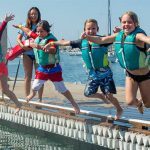 Families can apply for the Andy Budenz Memorial Campership by visiting watersportscamp.com/camperships/andy/.